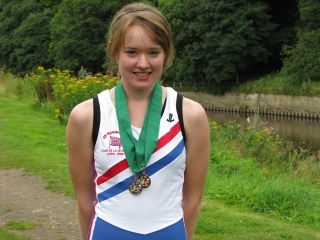 Helen Preston comes back with two medals. 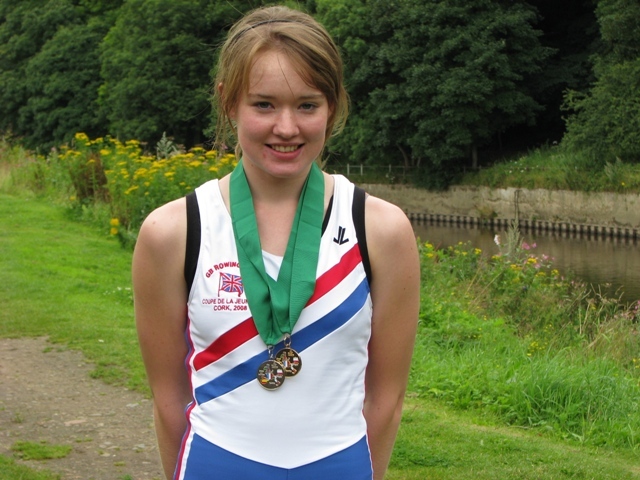 Congratulations to WJ18 junior Helen who was part of the GB WJ4x which won Gold on Saturday and Silver on Sunday at the Coupe which was held in Cork, Ireland. 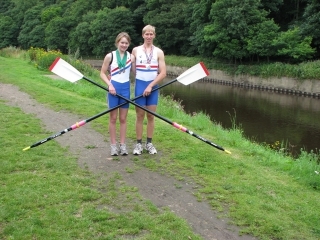 There was less than half a second between the Gold and Silver Medals on Sunday. Helen’s brother John, who rows for Reading University but is still a member of Darc, won the B Final of the Lightweight Men’s 2- at the World U23 Championships in Germany at the same time as Helen was rowing in the Coupe! This entry was posted in Racing News on July 20, 2008 by admin.